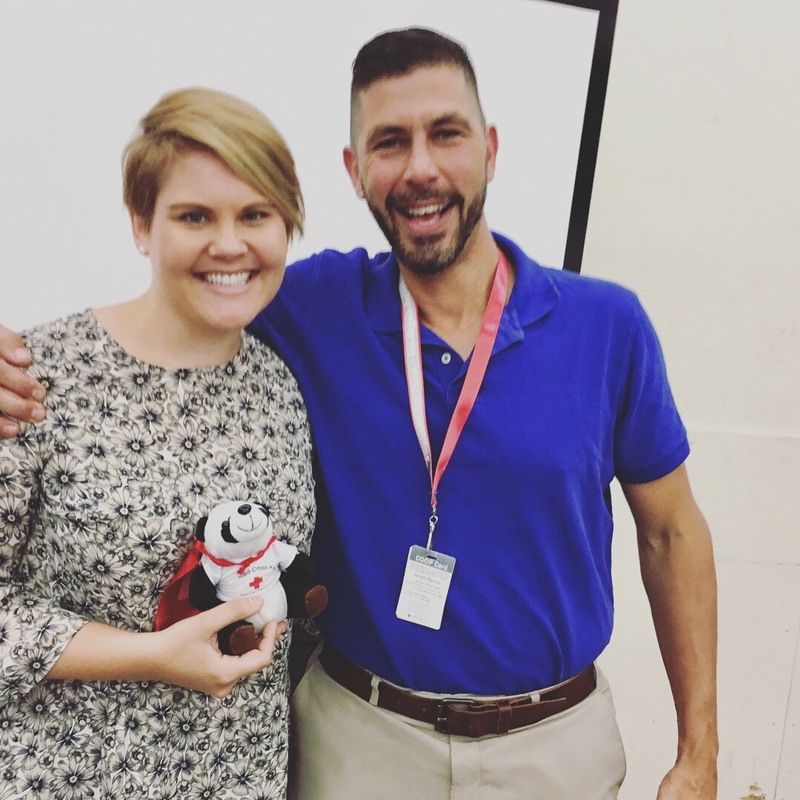 In February 2018, when Jordan Rodgers accepted a position as the Volunteer Services Manager for the Red Cross Los Angeles Region, she was excited to fulfill her life-long goal: to work closely with volunteers at a global humanitarian organization. 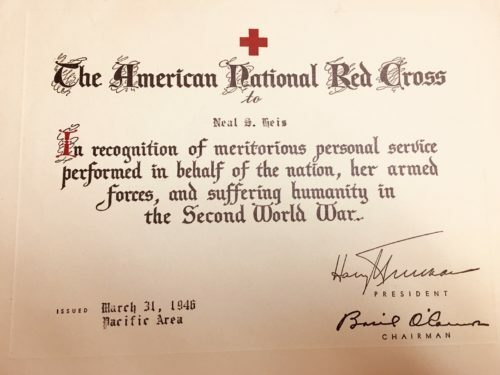 Jordan’s great-grandfather Neil’s certificate from the American Red Cross – dated March 31, 1946. 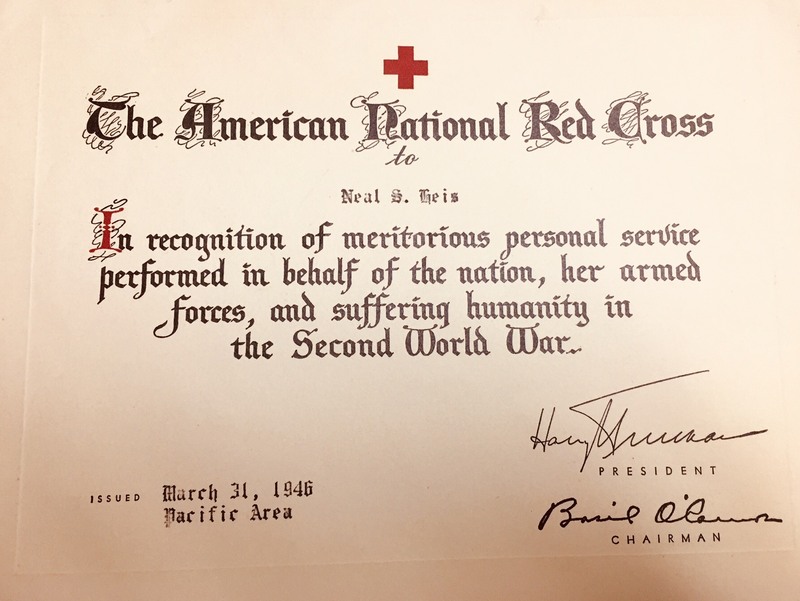 What she did not know at the time, was that a passion for the mission of the Red Cross was already alive, within her own family’s history—extending back to post World War II Germany, when her great-grandfather Neal, his wife Thelma, and their daughter Joann (Jordan’s grandmother) moved from the U.S. to Germany. 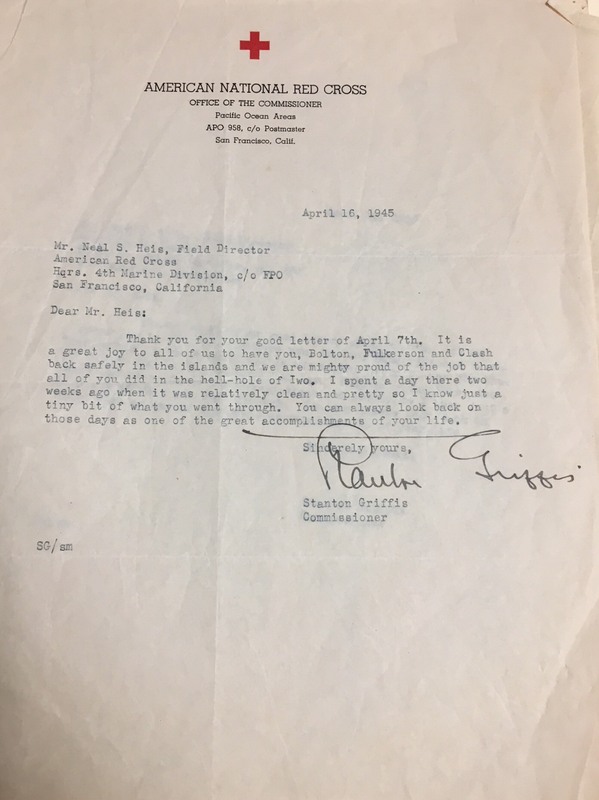 The move allowed Neal to continue his career as a Field Director within the American Red Cross society and Thelma, the opportunity to continue to serve as a volunteer nurse with the Red Cross. A thank you letter to Jordan’s great-grandfather for his extraordinary service – dated April 16, 1945. JoAnn broke off her engagement and married Lee—the man who would one day become Jordan’s grandfather. Essentially, Jordan would not be alive today if it wasn’t for the American Red Cross! even more driven to make a difference with her role at the Red Cross in Los Angeles. 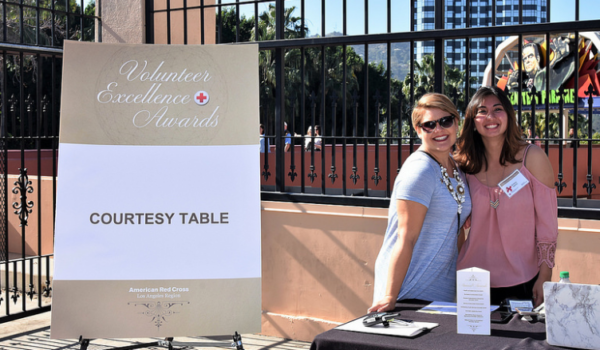 If you are a Red Cross volunteer in Los Angeles and haven’t met Jordan, you most likely will—especially as she oversees all adult and youth volunteer recruiting, on-boarding and engagement activities within the Los Angeles Region. Jordan, after being honored as Employee of the Quarter in June 2018, with Los Angeles Region CEO, Jarrett Barrios. Welcome Jordan! We are honored to have your family’s Red Cross legacy continue today, here in Los Angeles!